Watch Ken Beam show this gorgeous 2008 VW Beetle Convertible at Douglas Volkswagen in Summit New Jersey. Unofficial End of Summer Sales Event! Share this EBlast with your friends too. 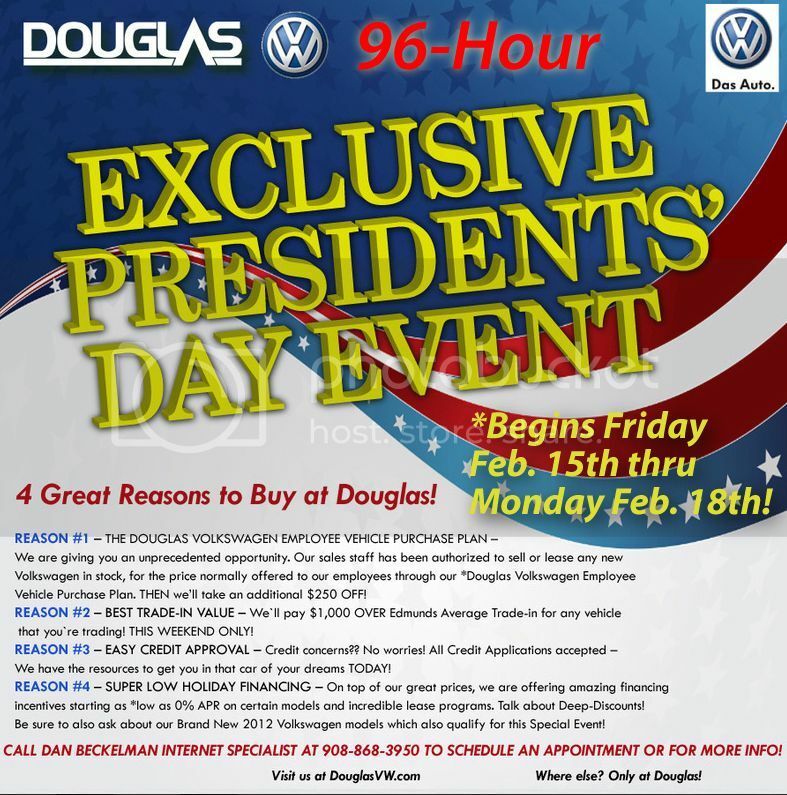 Presidents` Day Super Sales Event at Douglas Volkswagen! Discounted 2013 VW`s!